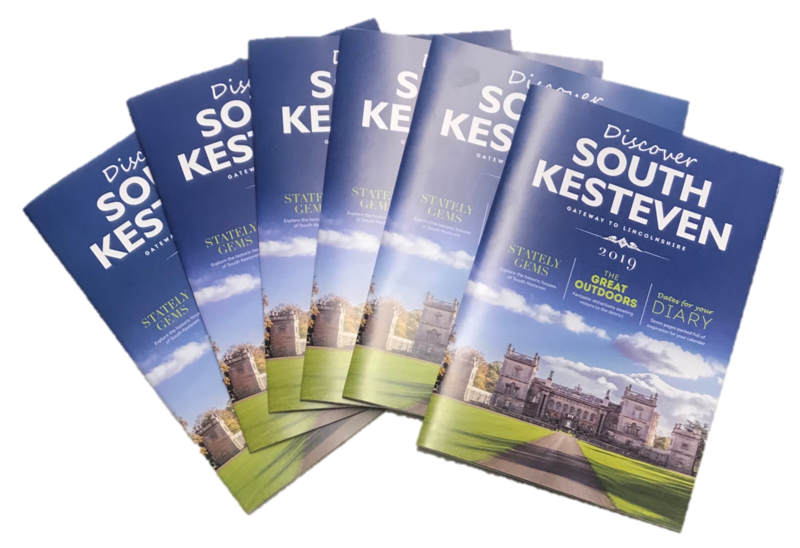 A brand new, enlarged Discover South Kesteven visitor guide has been launched as part of a major campaign to put the district on the tourism map and draw people to its wealth of attractions. The 64-page glossy guide from InvestSK, South Kesteven District Council’s economic growth and regeneration company, is designed to attract visitors from far and wide and encourages local people to re-discover what’s on the doorstep. Its launch follows latest figures showing that South Kesteven’s 3.4 million visitors now contribute a massive £178m annually to the district economy, securing 2,500 jobs. The 2016-17 figures added an impressive extra £10m of spend compared to 2015-16. “The guide is another great tool to promote the district, following on the heels of our new web site and video, and we have had great feedback all round,” he said. The guide promises a warm welcome and highlights the district’s easy access by road, rail and air, its internationally acclaimed festivals, England’s finest Georgian town, stately homes, quaint pubs, famous folk and rich aviation heritage. It showcases heritage, arts, gardens, famous folk, accommodation providers, market towns and the great outdoors across South Kesteven’s 365 square miles of beautiful countryside, and includes a special ‘Child’s Play’ section and quirky foodie A-Z guide. It follows the December release of a promotional video and web site by Discover South Kesteven – the team responsible for increasing the visitor economy within InvestSK, SKDC’s economic growth and regeneration company. The new guide is available from arts centre information centres in Grantham and Stamford and can be read on www.discoversouthkesteven.com where the promotional film is also available. InvestSK Limited trading as InvestSK. Stay in touch with InvestSK and the work we’re doing to grow South Kesteven’s economy. Follow us on Twitter and join our mailing list to receive our news and events direct to your inbox.